Tyson Fury and Luis Ortiz land “safe” opponents – wouldn't it be great if they were fighting each other! Tyson Fury and Luis Ortiz land “safe” opponents – wouldn’t it be great if they were fighting each other! The opponents for comebacking heavyweight stars Tyson Fury and Luis Ortiz have been confirmed – with former king Fury to face Francesco Pianeta on August 18 and, three weeks earlier, Ortiz to face Razvan Cojanu – and it’s safe to say, both men have been handed “safe” opposition. Fury, who will be having the second fight in his post-depression ring return, will not have much to fear against the 33 year old Italian. Pianeta, 35-4-1(21) is a southpaw and he is tall at 6’5,” but he is no puncher, he is no iron-chinned heavyweight and his recent form has been distinctly average – just one win from his last three outings (over a foe sporting a then-1-0 record) and an October 2017 stoppage loss to a faded Kevin Johnson. Still, Fury is at least taking a step up (of sorts); his last dance partner Sefer Seferi being widely ridiculed. Pianeta has at least been in with top names like Wladimir Klitschko and Ruslan Chagaev, being halted by both. Ortiz, a southpaw like Pianeta, faces Cojanu, 16-3(9) and it’s possible “King Kong” has an easier assignment than Fury has. Best known for taking WBO heavyweight champ Joseph Parker the distance in a dreadfully dull fight last May, 31 year old Cojanu has not fought since. Ortiz will, like Fury, be facing a veritable non-puncher, and the Cuban should, like Fury should, be able to get himself a stoppage win. Ortiz is of course having his first fight back since losing that March thriller with Deontay Wilder. It’s gimme gimme time for the two big men (and biggest talkers of the division) but things sure would heat up in a massive way if Fury and Ortiz agreed to fight each other one day soon. The fight seems to be a quite unrealistic one even if Ortiz has called for it a number of times, but as far as sheer fun goes, as far as a great clash of personalities and styles go, Fury Vs. Ortiz would be welcomed by all. Fury may have other ideas though. 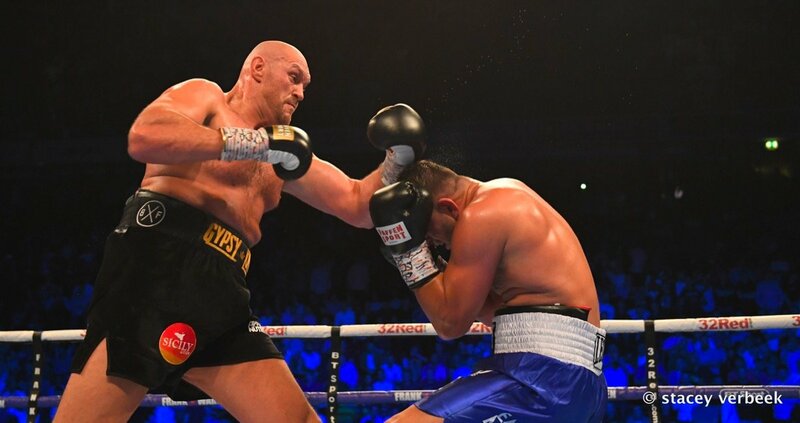 Expected by some to have four “safe” fights – two down, almost, two to go – before stepping in with a genuinely live and dangerous big name, Fury is selling tickets on the back of his name, not on solid match-making from his team. But Fury, and Ortiz, will have to get in their with the elite soon enough, if they want to rule the world, that is. As a final eliminator for one of the four big belts out there, an Ortiz-Fury fight would make plenty of sense. And the fight would make plenty of dollars and pounds too. Who knows, maybe these two controversial, colourful and talented heavyweights will surprise us all all agree to fight one another this year or next. Heaven knows, neither Fury nor Ortiz faces the likelihood of being upset (or even extended) in their respective upcoming fights. You are here: Home / Boxing News / Tyson Fury and Luis Ortiz land “safe” opponents – wouldn’t it be great if they were fighting each other!